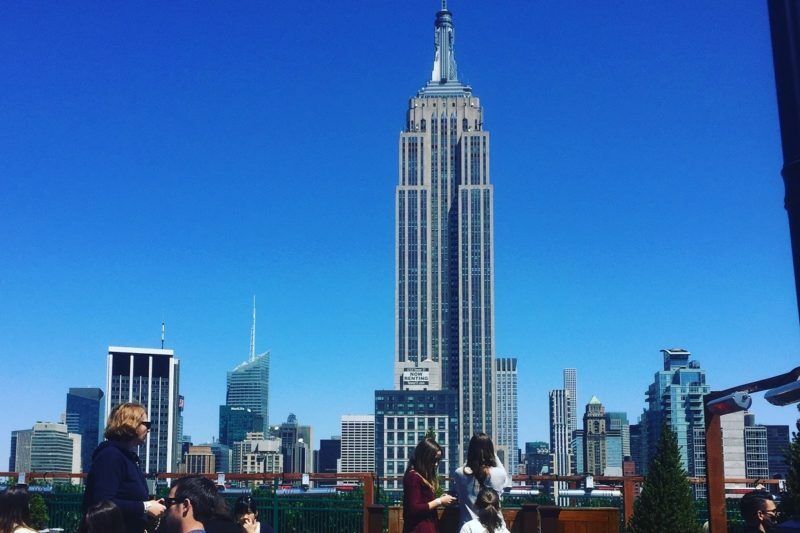 Wondering where are the best places in New York City to enjoy both drinking and skyline views? Pick a name in below top list, call your friends and try by yourself! 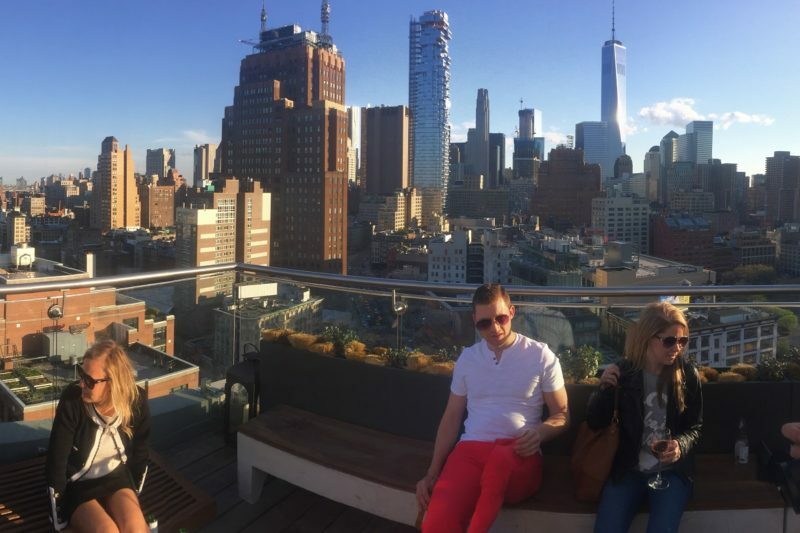 A fantastic rooftop bar where you get the best and coolest skyline view in all of Manhattan. Mighty and beautiful at the same time. 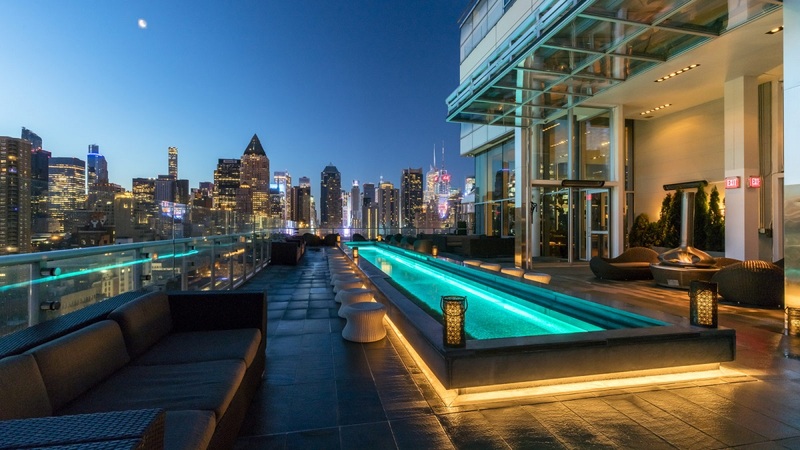 The rooftop is located at the luxurious hotel Ink48 with views of both the skyline and Hudson River. There’s always a nice and festive atmosphere here, and when the sun sets you can get some beautiful pictures as well. Dress for success and you’ll feel right at home at The Presslounge. 230 Fifth is located right in the middle of Manhattan with grand views of The Empire State Building. One of few rooftops in NYC that’s open all year round. A heated terrace equipped with igloos makes this rooftop bar the ideal place for a drink even the colder days. If you love a Sunday brunch with a view, there’s no better place on Manhattan than 230 Fifth. Tasty food, mighty views and a relaxed and chilled atmosphere. 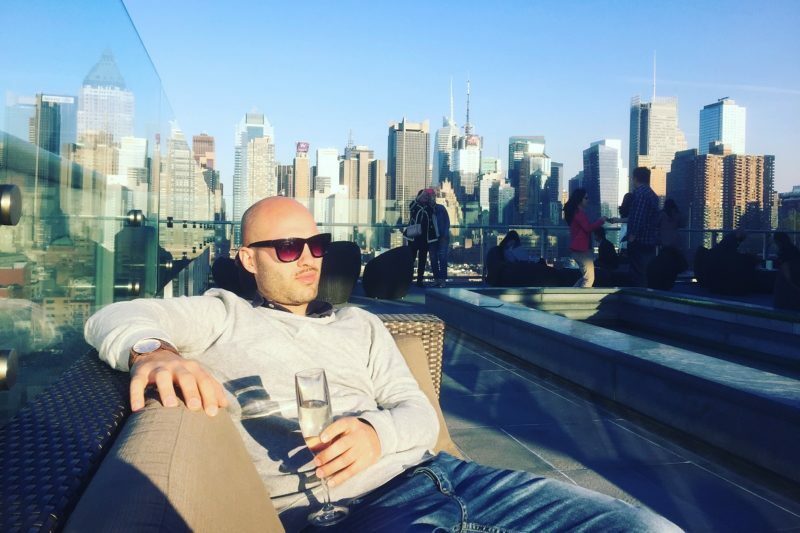 This is an awesome rooftop to visit if you like to party with one of the best views in New York. Sweeping views of both Hudson River, Downtown Manhattan and the city skyline. If you’re a guest at the hotel you can use the rooftop swimming pool and terrace during the whole day. If you just want to drop by for some beers or to party, you’re welcome up on the terrace from 5:00 PM. The perfect place to start of your evening at. 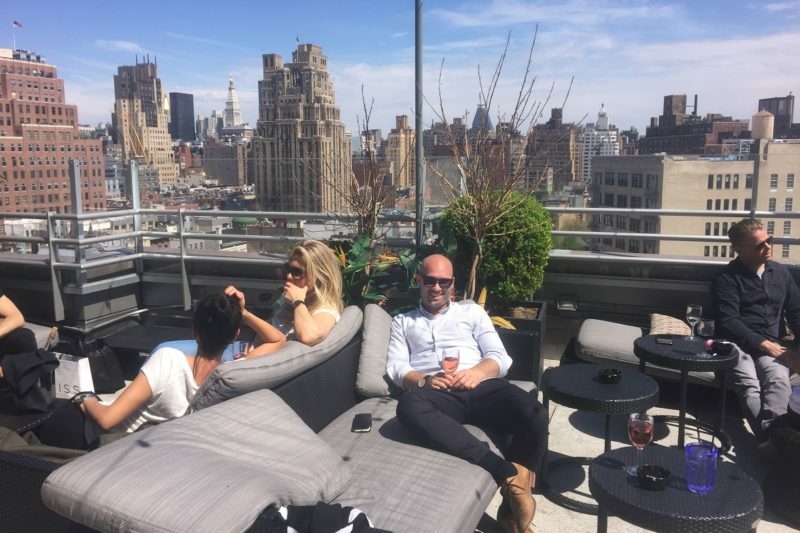 Right in the middle of the party district Meatpacking, you’ll find one of the best rooftop bars and rooftop pools in NYC. The luxurious hotel Gansevoort Meatpacking can boost of with both amazing views, superb party atmosphere, a nice swimming pool and tasty cocktails. This is one of the best rooftops if you like to party all night long. Gansevoort Meatpacking has 2 terraces. One with views over the Hudson River and the other one with views of the skyline and Downtown Manhattan. St Cloud is located at Knickerbocker Hotel right in the heart of Manhattan near Times Square and the busy city pulse. But up on the terrace the atmosphere is calm and relaxed. The large leather sofas and spacious terrace helps to create a very comfortable and harmonious feeling. This is a perfect spot to visit for some relaxation between all shopping. Settle down in one of the large sofas, order some cocktails and finger food and just enjoy the view and tranquility. Few words about the author: Hans is the swedish co-founder of The Rooftop Guide. He loves travels, food, drinks, sports and to hang out with friends. 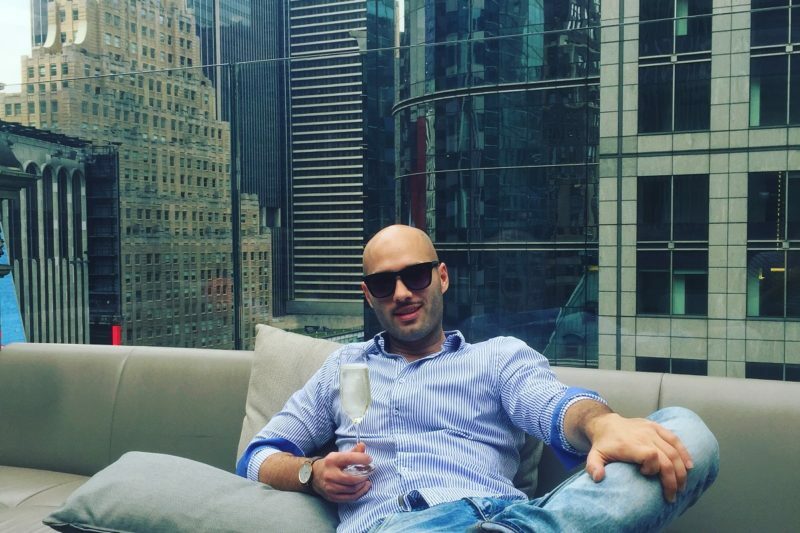 His favorite country is Italy and except rooftop bars he is also a sucker for beach clubs and vineyards. You can follow his adventures on Instagram (@the_rooftopguide).